Photography professionals will tell you: RAW image processing optimizes the final rendering of your photos. These raw images are not compressed and are therefore of better quality. Unfortunately, this format is not readable by all photo editing and retouching software. AfterShot Pro was specifically designed for processing these images. It can edit them (colorimetry, distortion correction, filters, watermarking) and convert them into more popular formats according to customizable profiles. The application also includes a classification module that allows you to organize your photos. AfterShot Pro is also a very good metadata editor and its search engine is able to read them. 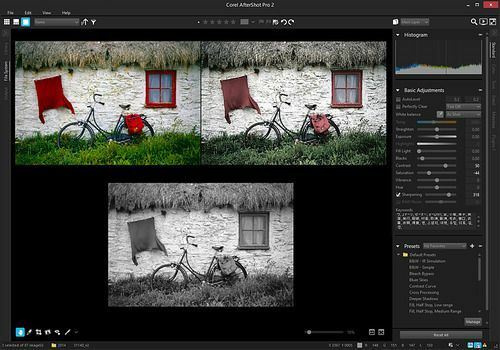 Adobe Photoshop Lightroom is a real small photo studio that allows you to import and edit your photos with the advanced tools of a photographer.